A new type of lifeboat, claimed to be unsinkable, was recently filmed by Visnews at a demonstration at Bremerhaven, Germany. 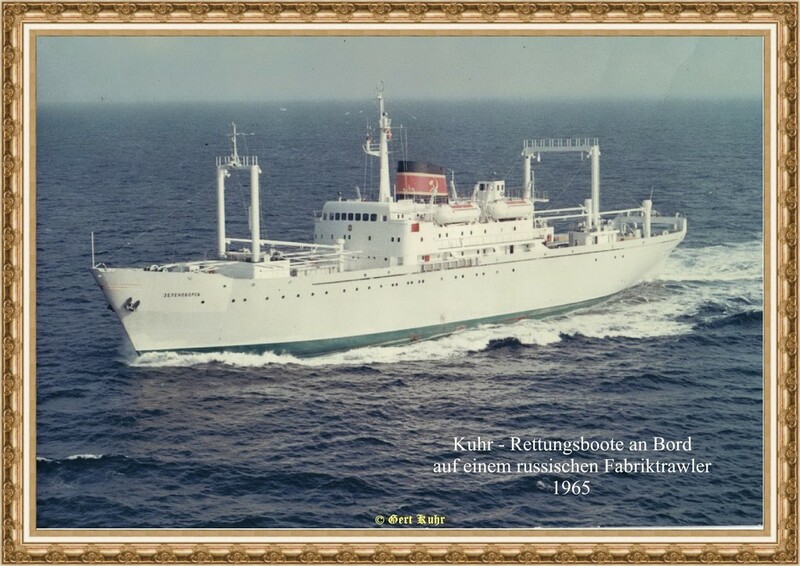 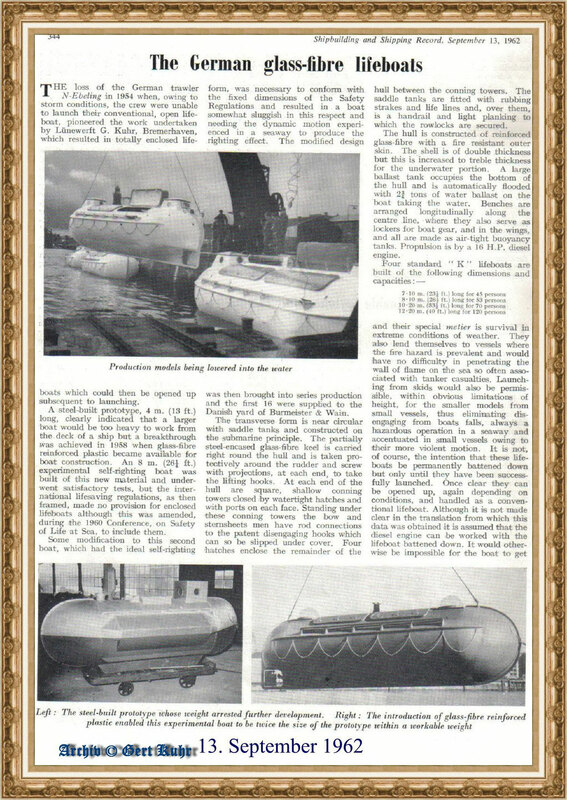 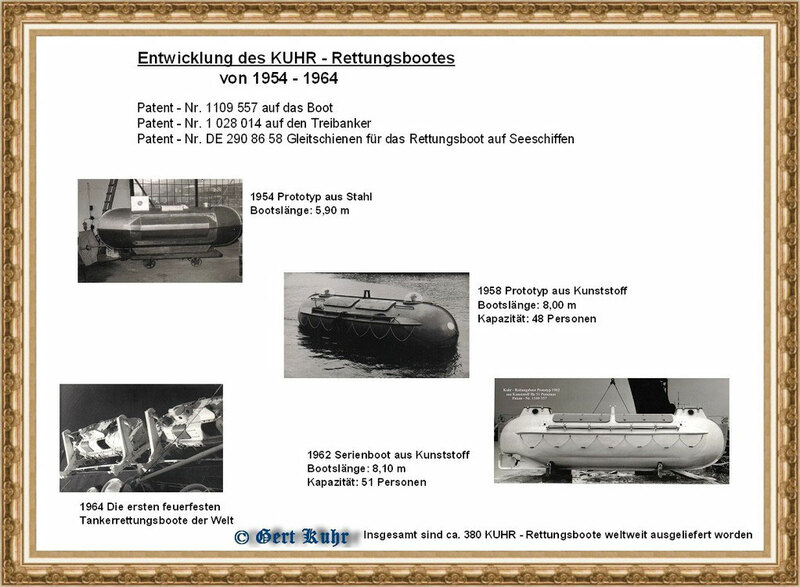 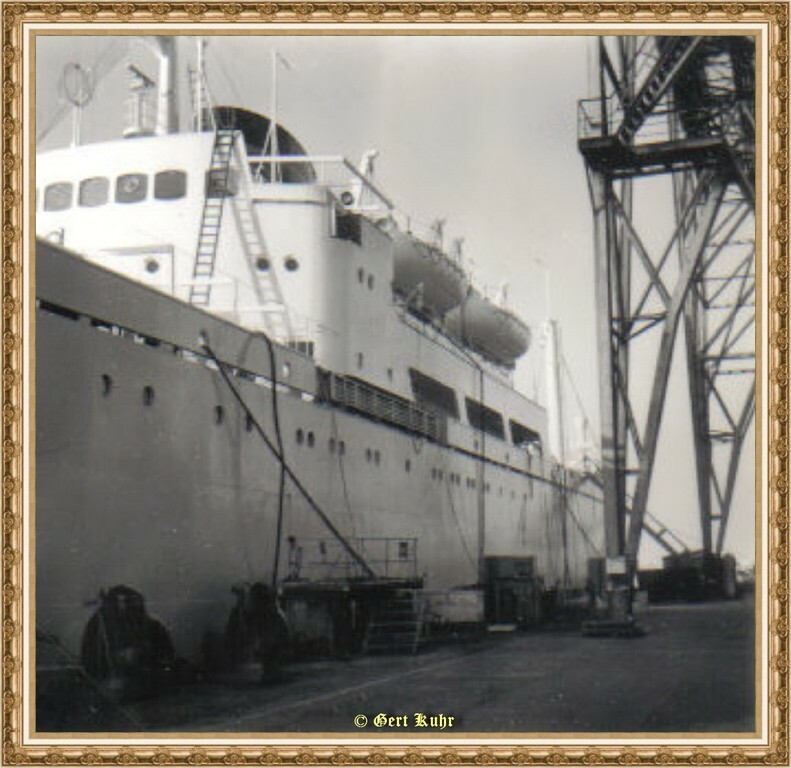 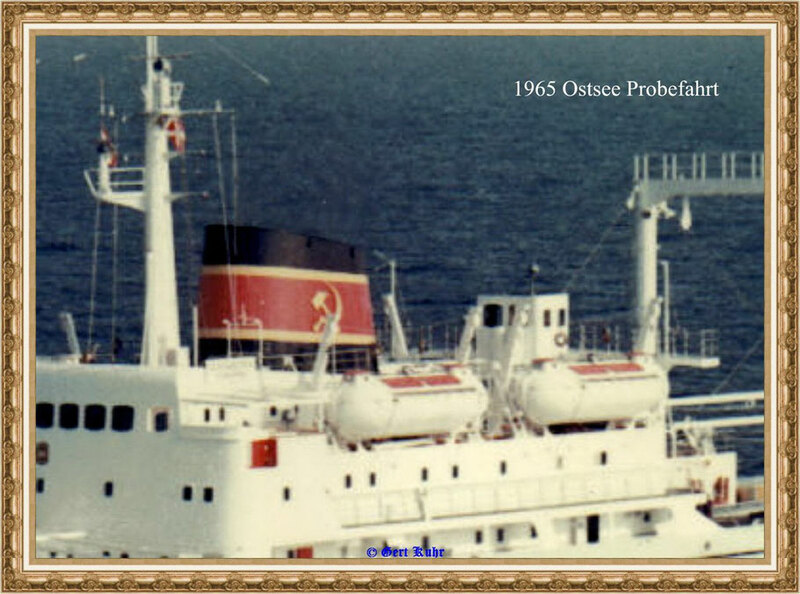 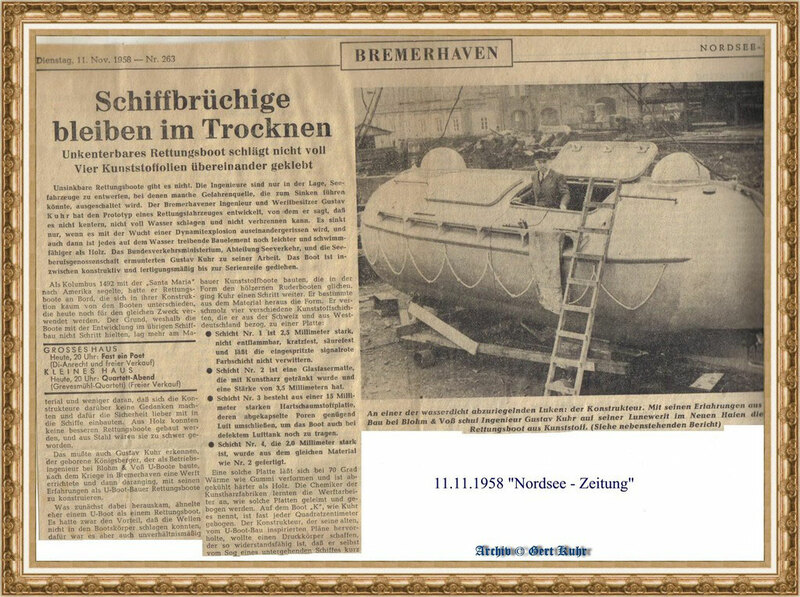 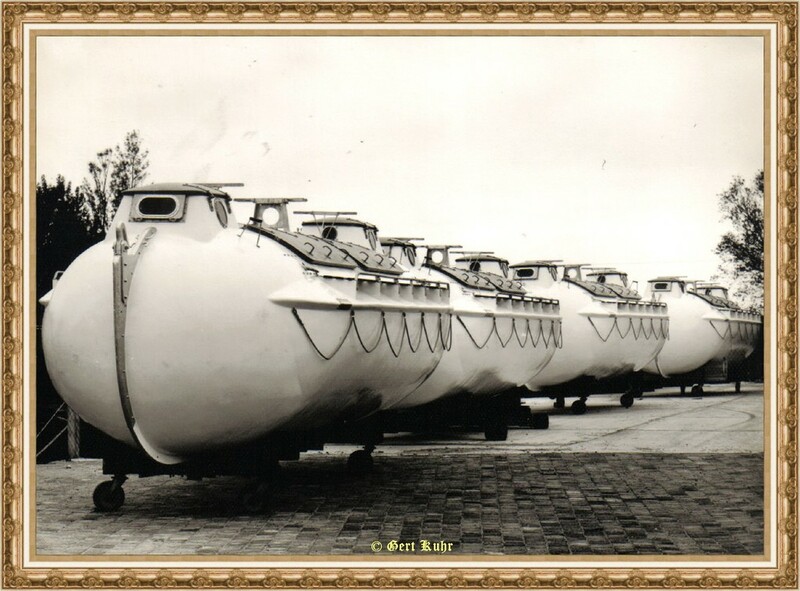 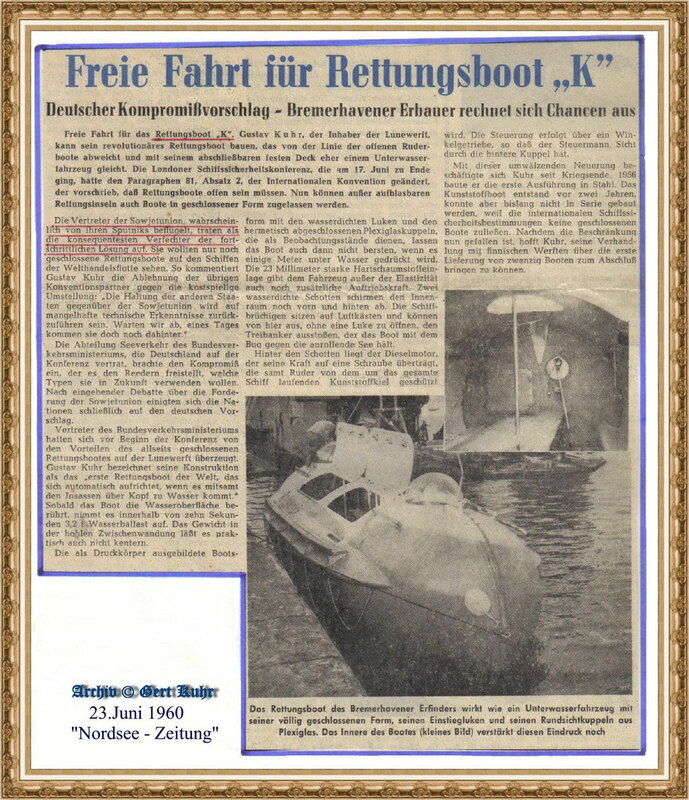 Shaken by a tragic event in 1951 when the trawler Ebeling sank near Iceland with her entire crew including one of his friends, German ship designer Gustav Kuhr of Bremerhaven set about the construction of a lifeboat which would prevent the heavy loss of lives at sea. 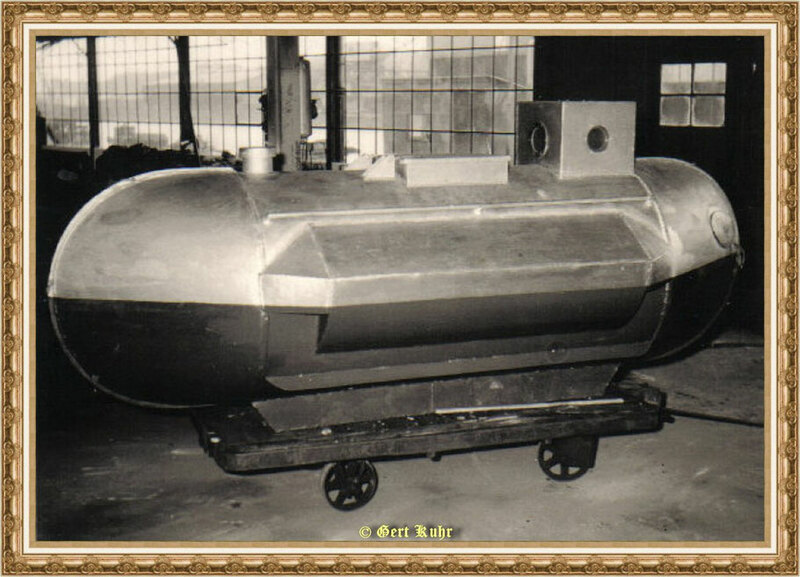 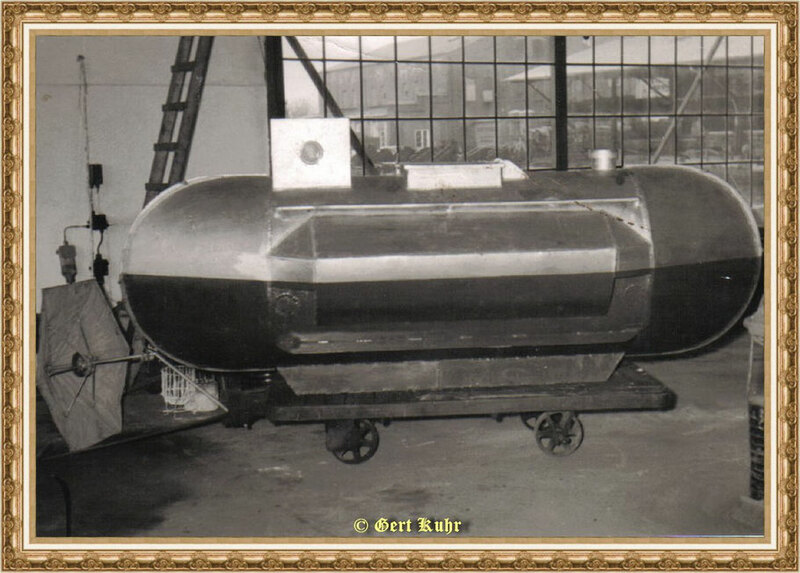 The result of his efforts, a double cylinder with walls of polyester plastic, overall length 26 feet, width about 9 feet, weight 1.7 tons, can take up to fifty shipwrecked seamen. 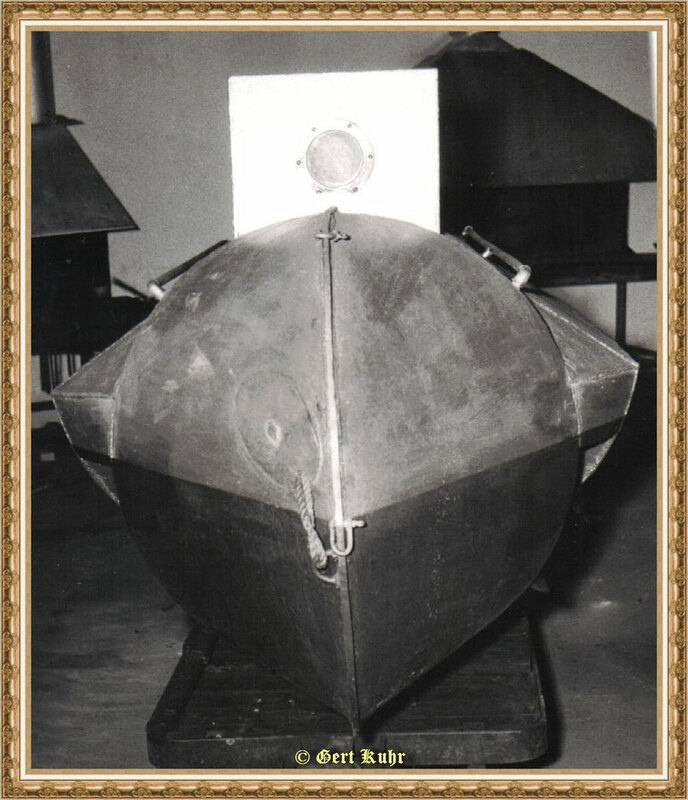 A built in motor gives the vessel a speed of approximately five miles an hour. 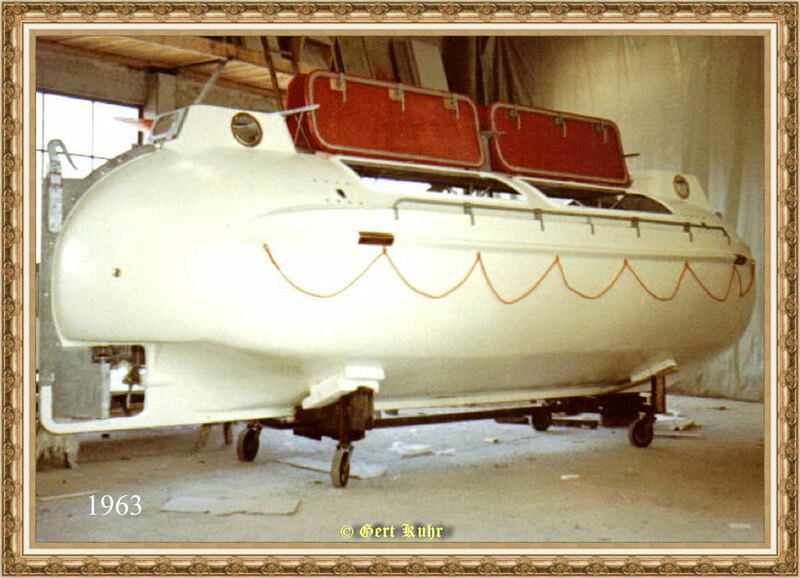 Should the motor break down or heavy weather threaten the cylindrical boat a sheet anchor will help to keep it steady. 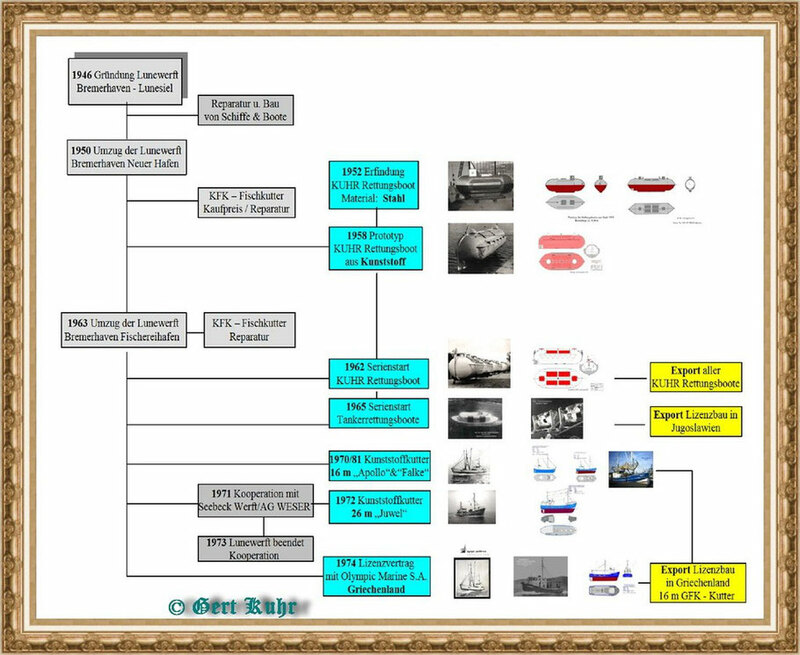 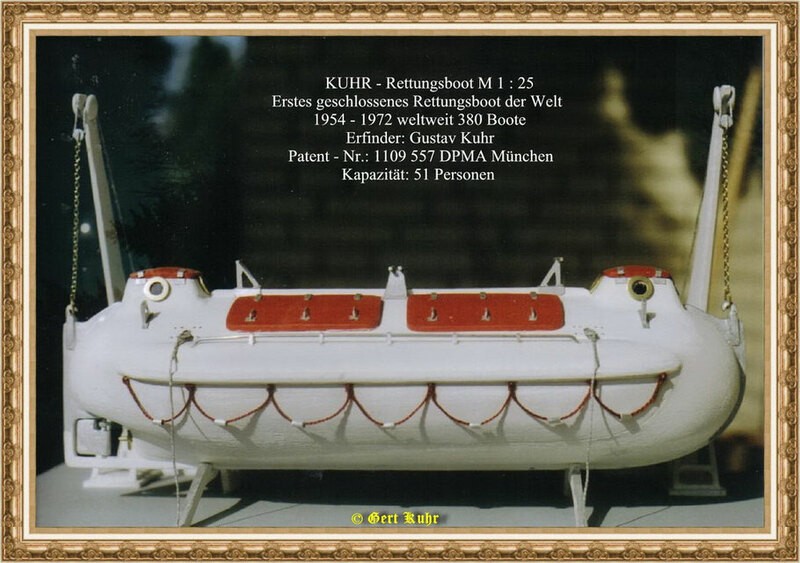 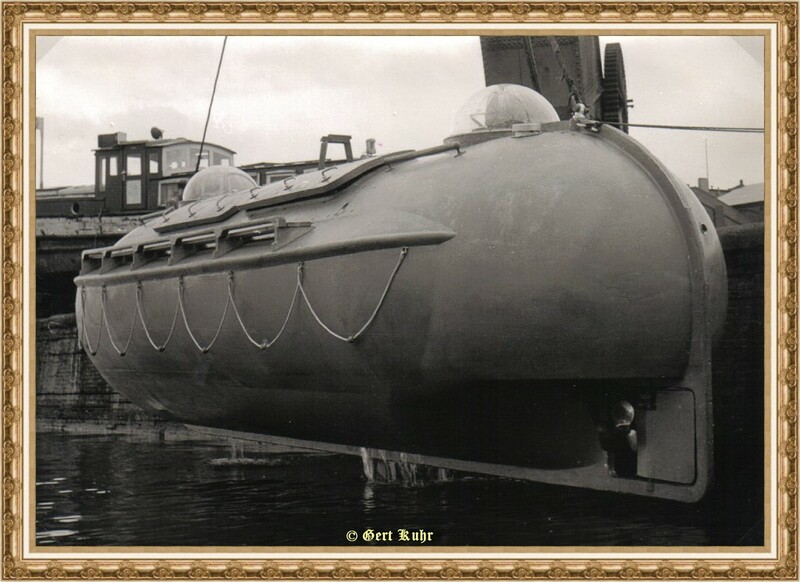 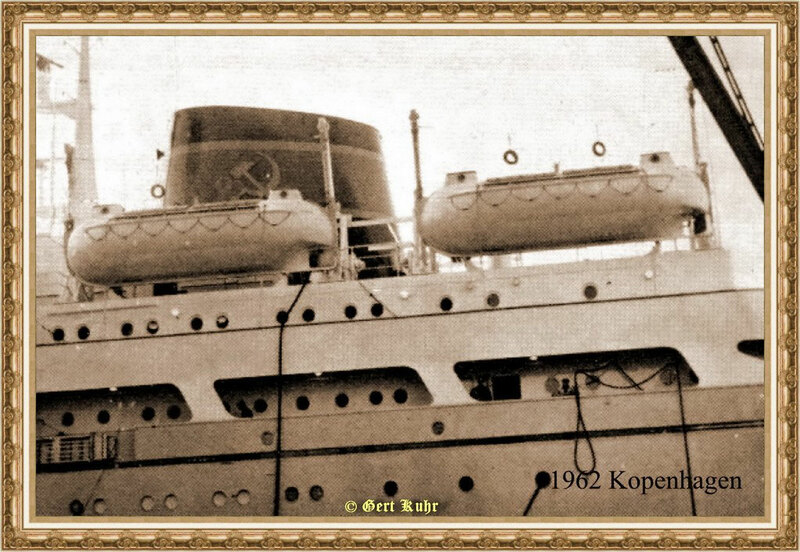 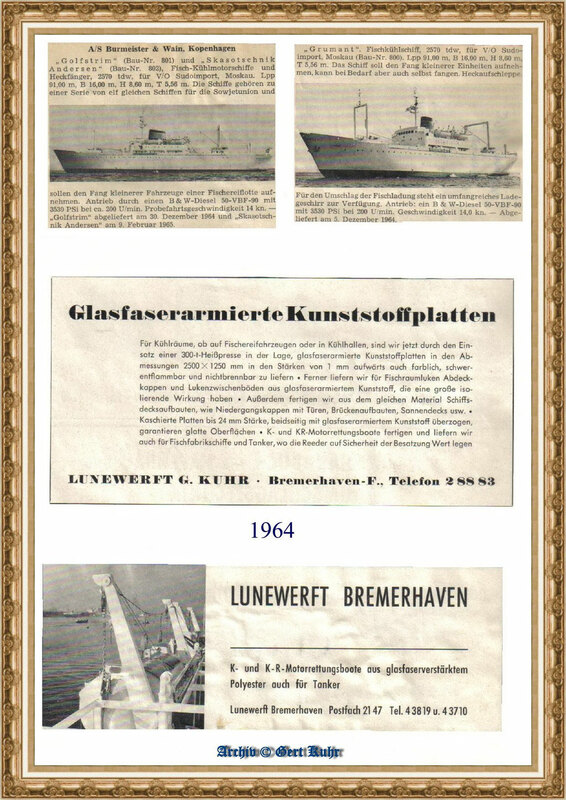 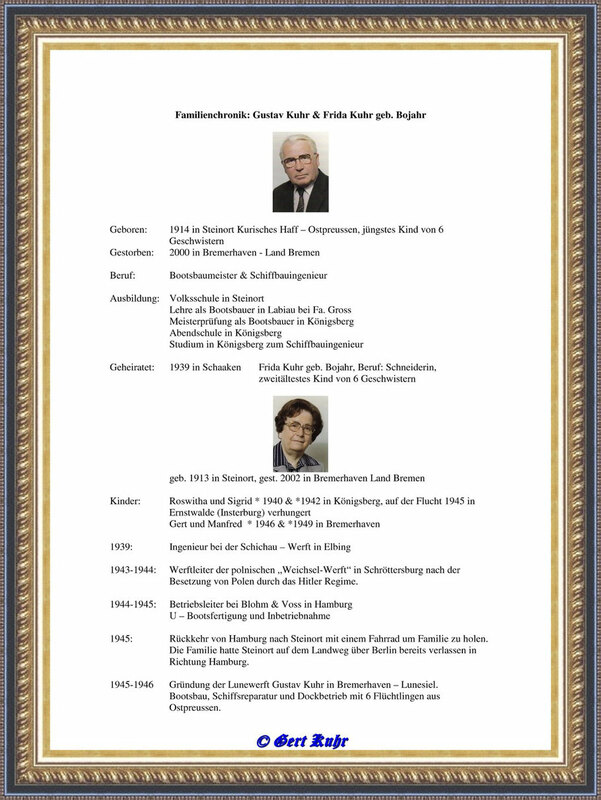 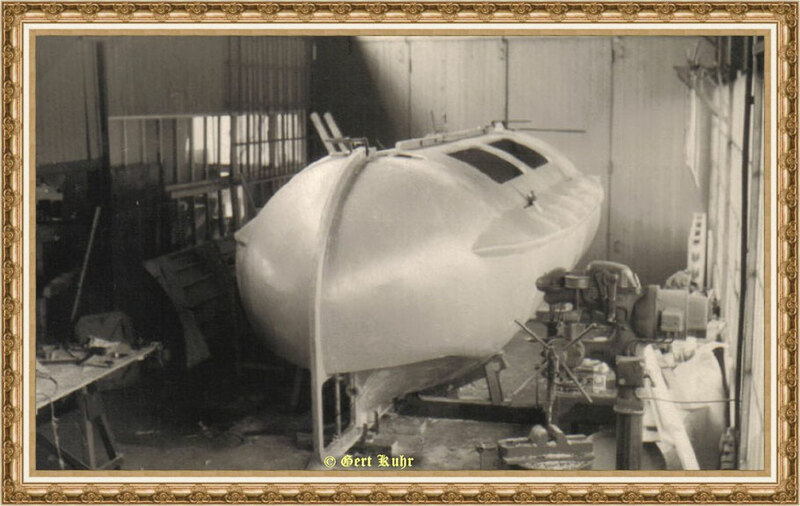 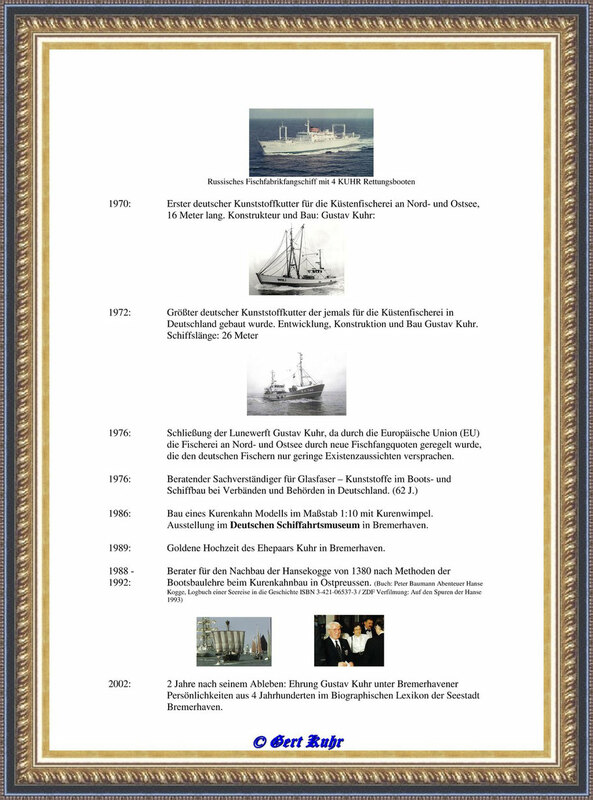 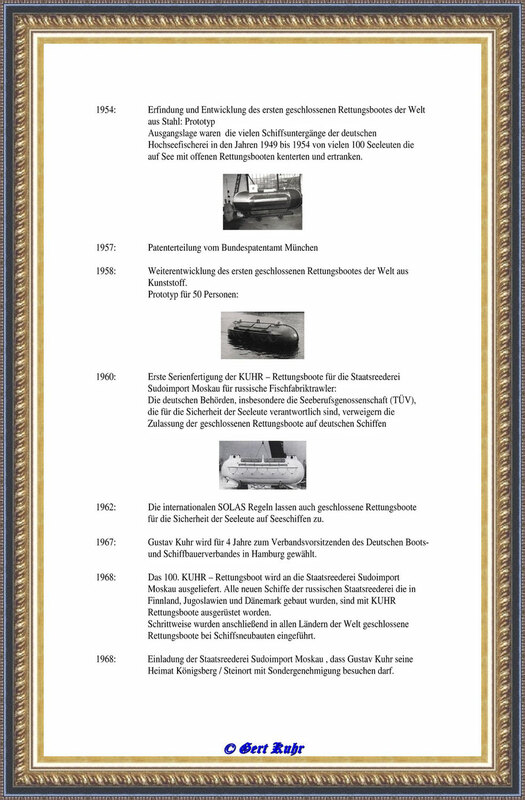 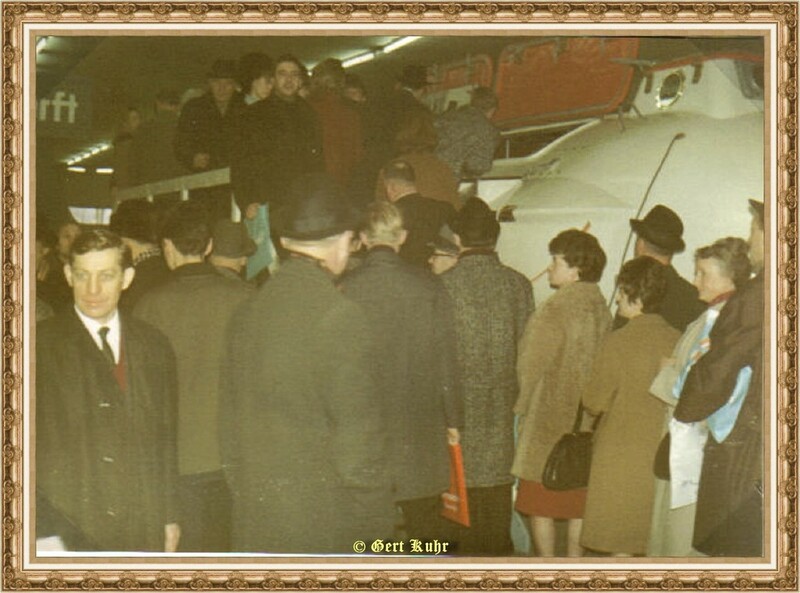 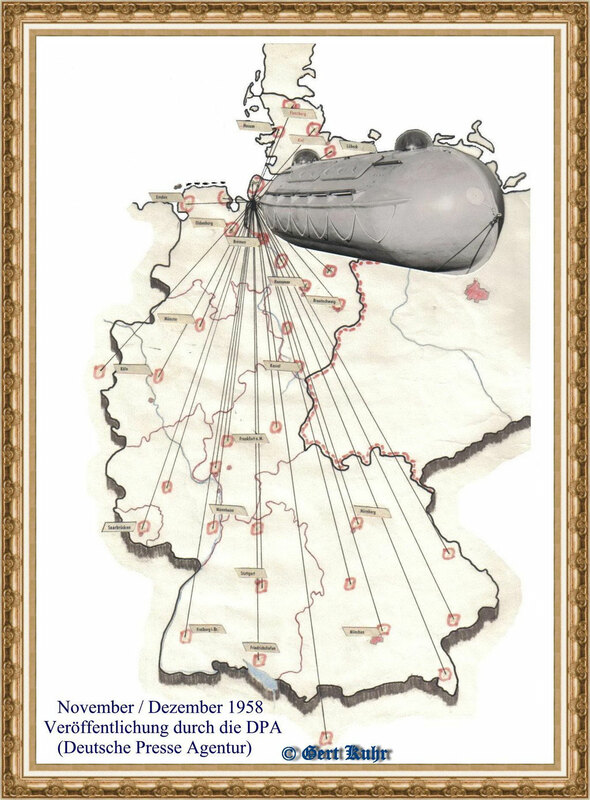 At Bremerhaven inventor Gustav Kuhr demonstrated the effectiveness of his design. 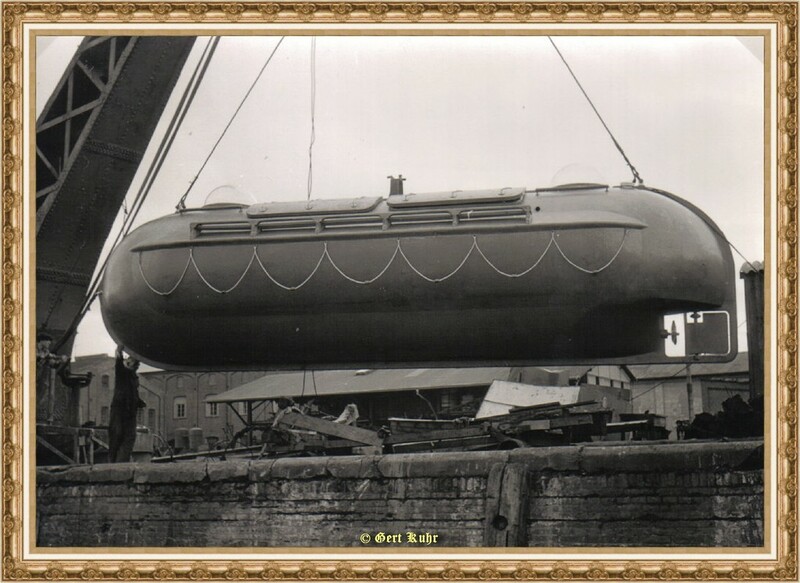 The vessel was thrown sideways into the water and immediately returned to the surface. 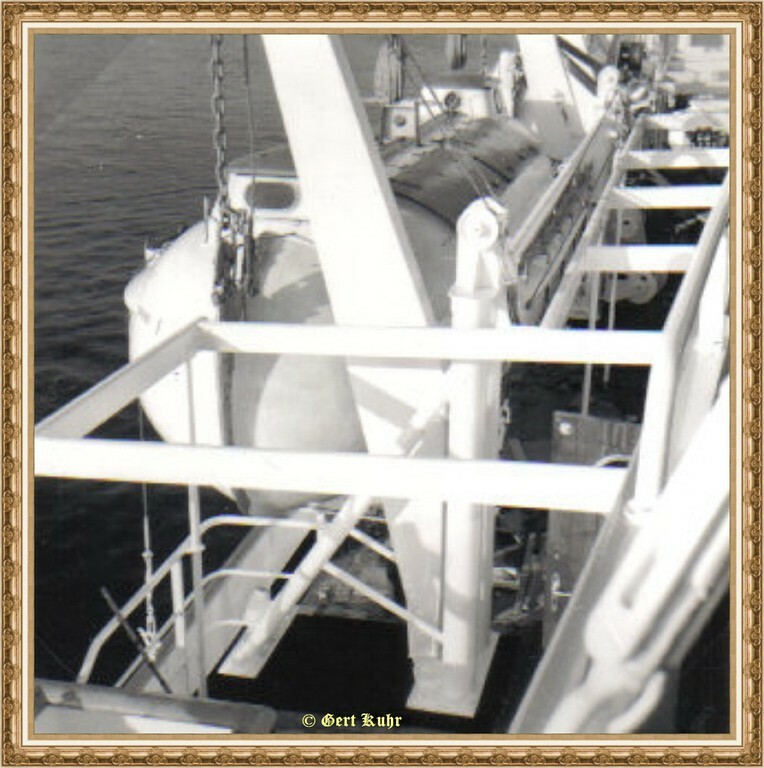 Three tons of water rushing into the hollow space between the cylinder walls quickly rights it up and makes capsizing practically impossible. 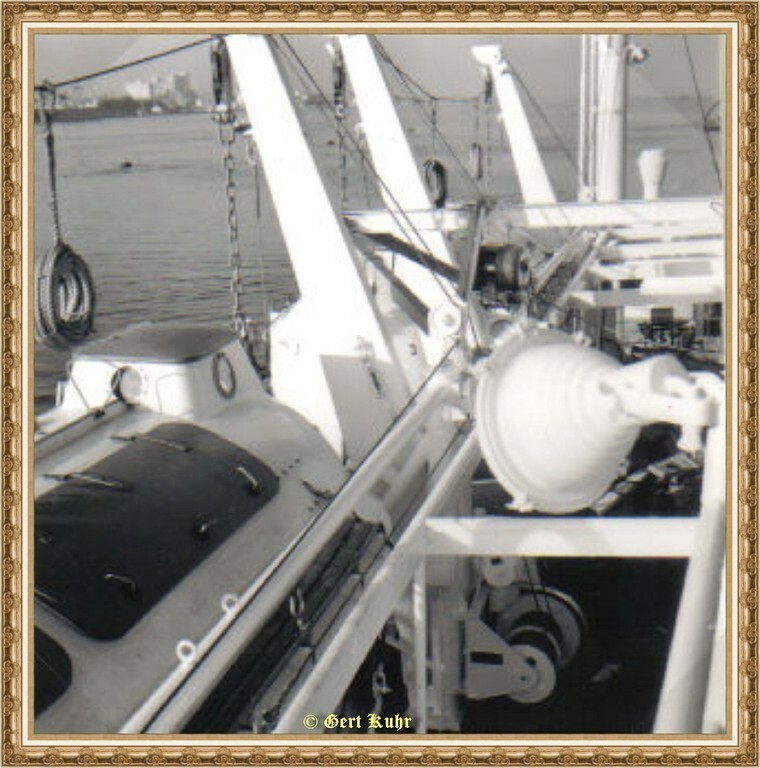 When the boat is pulled ashore the ballast water simply runs out of the wall space. 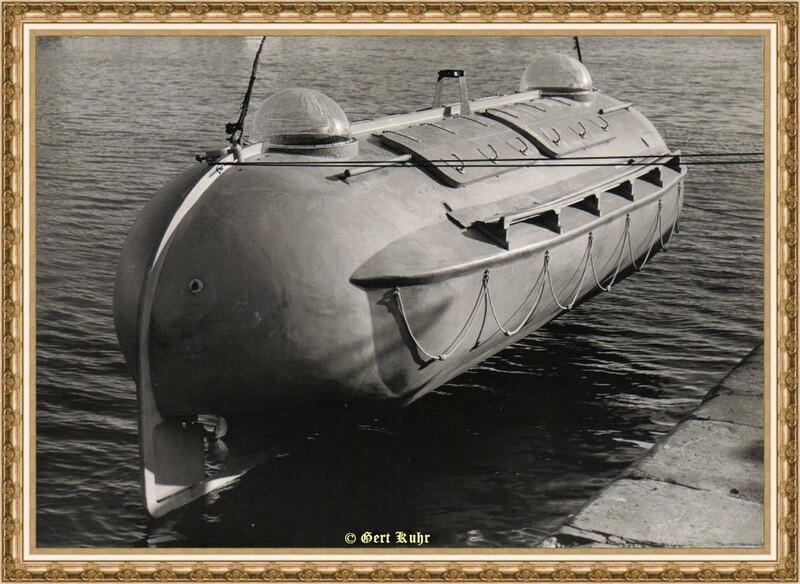 This new weapon in man's fight against the cruel sea is to cost only 10% more than a normal lifeboat.